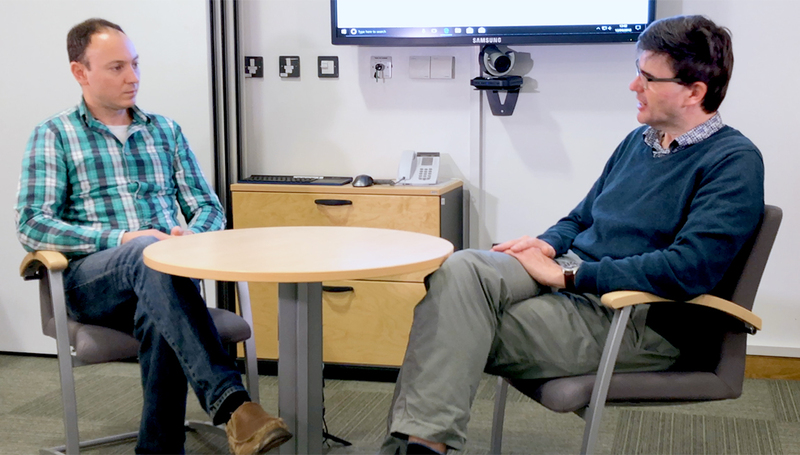 Kostas Beis, Principal Investigator whose group is interested in bacterial membrane proteins, talks to Dave Clarke, Division Head of Lasers for Science, who works on developments in microscopy techniques. Kostas’ group was able to prepare biological samples for Dave’s research – a definite advantage of being in the same building, despite being completely different groups. 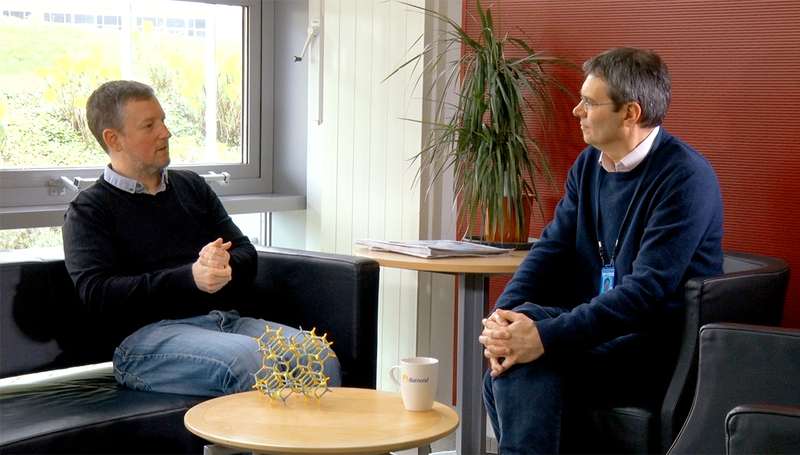 Andy Beale, of the UK Catalysis Hub, and Pavel Matousek, STFC Senior Fellow at RCaH, chat about their research. Andy’s interests lie in developing catalytic zeolites for applications such as cleaning up car exhaust emissions; Pavel’s research interests are in the varied applications of non-invasive diagnostics based on spatially offset Raman spectroscopy (SORS).